Fire safety needs are often complex, especially with uncommon fire protection situations. Each application required careful consideration of the unique protection demands. 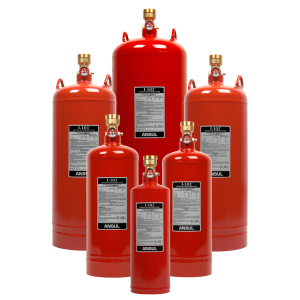 Fox Valley Fire & Safety handles all aspects for electronic data equipment, medical equipment, machinery, flammable storage, fuel dispensing, heavy duty vehicles and just about anything that requires fire protection. The full-time engineering staff at Fox Valley Fire & Safety is specially trained to design and engineer custom systems for any application. Not only are custom systems crafted specifically to meet your needs, but you can rely on the team for installation, service, repair, maintenance, inspection, and more. 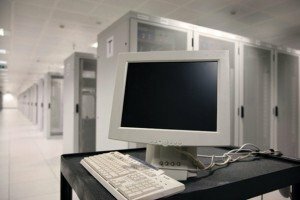 Do you have essential data and computer equipment that you need to protect? Not a problem. We understand that your business relies on this sensitive equipment, and the FM200 system protects it from fire with a specialized agent that will not cause water damage that the standard sprinklers would cause. Besides protecting computer equipment from water damage, we also have fire suppression systems available with clean agents. 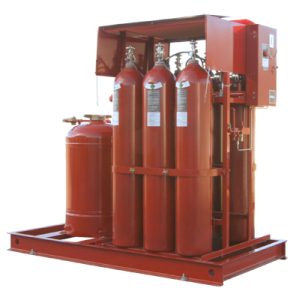 In the case of Sapphire or CO2 systems, a fire can be extinguished while leaving equipment free of contamination as well as water damage. Our professionals can determine which agent is best to protect your unique situation. Industrial fire protection comes with special needs, such as paint booths or flammable storage areas. Dry Chemical Systems are a great choice for protecting such spaces. Does your facility contain fire doors? Fire doors are simply doors with a fire resistant coating used to reduce the speed of fire or smoke between two areas to allow safe egress. They are an integral part of the total fire safety plan and service of these doors can’t be ignored. NFPA required these doors be tested annually to perform in the event of a fire. Specialized vehicles, whether used in waste management, constructing new buildings, or transporting the public, are a part of everyday life. They are also an immense investment. Our many onboard system solutions can be installed in these unique situations to maximize safety and minimize damage, downtime, and loss. The Fox Valley Fire and Safety Team is available seven days a week, 24 hours a day, to provide emergency response. The team is proud to provide regular installation, inspection, repair and support services for every custom system. To learn more about the best solution for your space, contact our team today.